Staying true to its big city lifestyle, the City of Tampa provides a plethora of transportation choices. We recommend enjoying the city on foot to offer the full experience—beautiful parks, fountains, unique restaurants,­­ towering buildings, and frequent festivals make Downtown Tampa a great place to lace up your sneakers. However, if you’ve got a destination in mind, whether it be for work or leisure, check out this list of alternatives for getting around the City of Tampa. 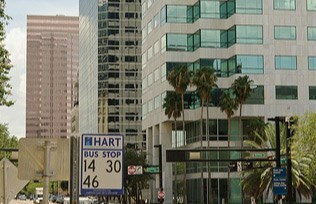 The Hillsborough Area Regional Transit (HART) is the bus system that encompasses the Tampa area. It provides three types of routes: the Local, the Commuter Express, and the Trolley. 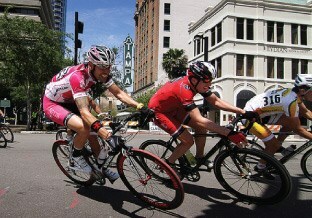 Local routes encompass the entire City of Tampa. Whether you’re traveling on campus at USF, catching a ride to your day job or on your way downtown for a bite to eat... at $2 a ride the Local Route is a convenient transportation option. Here’s a tip: The bus runs all routes Monday-Friday, but on the weekends routes are different. Be sure to check the schedule online before planning your ride. If you’re going to be working in the City of Tampa, the Commuter Express Route is for you. Check to see if your new home is on a Commuter Express Route and take advantage of this green, convenient, and quick HART service. Purchase a HART card for 10 days of express rides to receive a special rate of $2.65 per day. All aboard! The HART Trolley replica bus is a quick option for traveling across the city. For just 25 cents, you can ride in style across downtown Tampa. The most charming way to get from one end of the city to the other is on the HART Trolley! 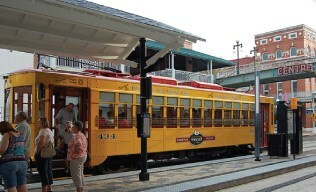 This streetcar passes through Whiting and Franklin Streets and downtown to Centennial Park in Ybor City. It’s $5 for a full 1-day pass with unlimited rides. Quick tip: The city gets crowded during popular festivals like Gasparilla and Oktoberfest. Park your car in Ybor City for cheap, hassle free parking and hop on the TECO Streetcar to get into the city.